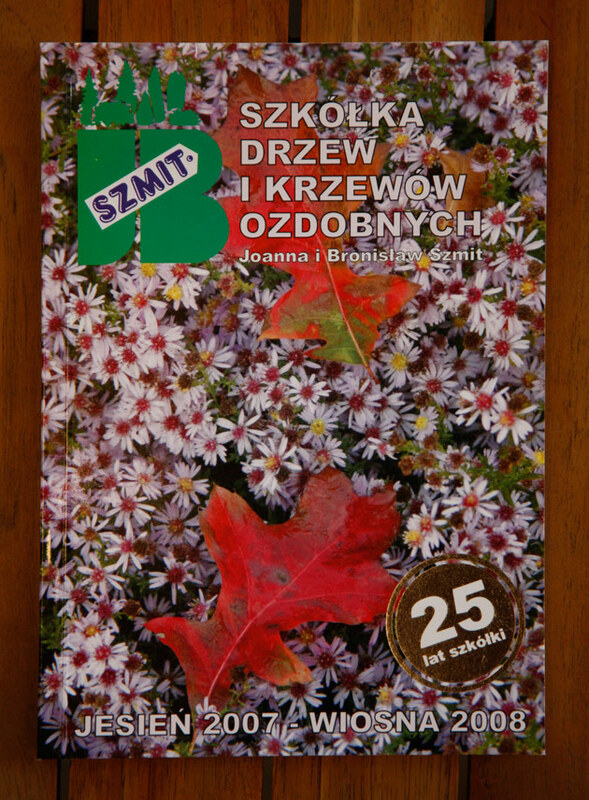 Each year, in August, Szmit Nursery publishes a catalogue for autumn/spring season. 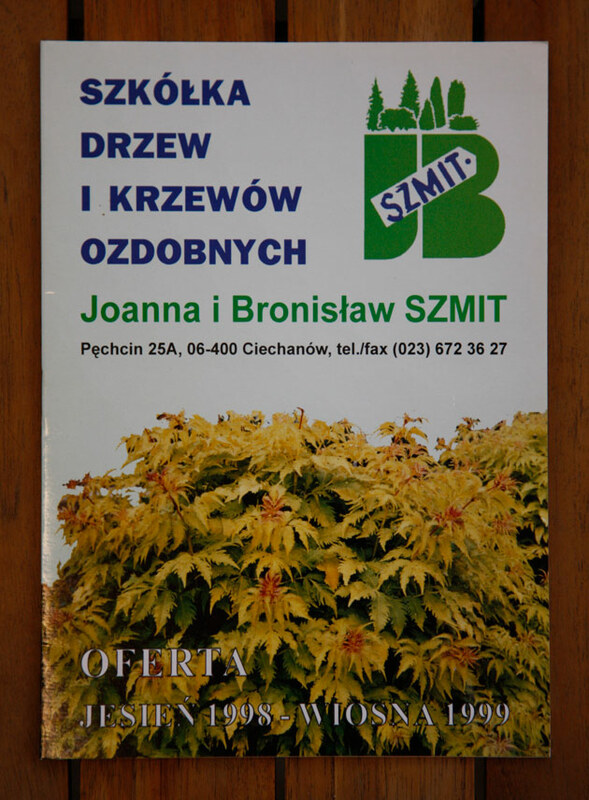 The catalogue includes a wholesale offer for all plants produced by our Nursery as well as selling terms and conditions in Polish, English and Russian language version. All plants are grouped in five sections (broadleaf, conifers, climbing plants, grasses and perennials as well as fruit bearing plants) in alphabetical order according to their Latin name. 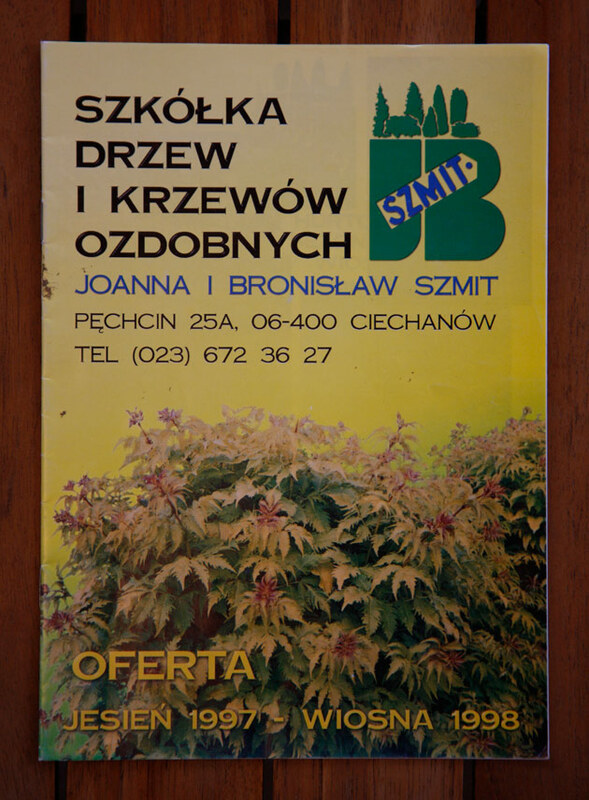 Each plant is provided with its Polish name and short description, including available sizes (height of a plant or size of a container). In the catalogue connoisseurs can find plenty of novelties introduced by us to the market and proven in our climate. 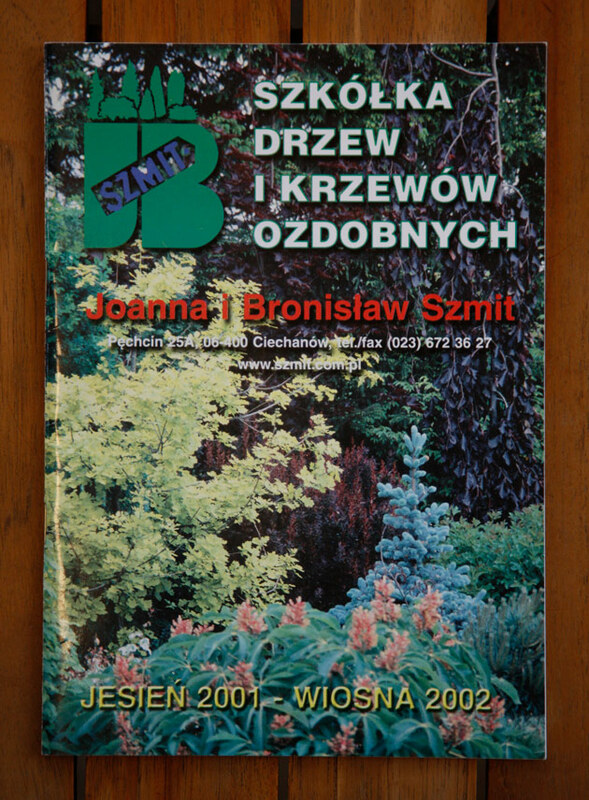 The publication contains photographs of recommended plants, supplemented with interesting pictures taken in our collection garden. This year's cover presents an interesting novelty – Corylus avellana PURPLE UMBRELLA 'JM 251'PBR. This is the first red-leaved hazel of weeping habit. Our Nursery purchased rights to this variety and applied for the patent protection in the European Union. 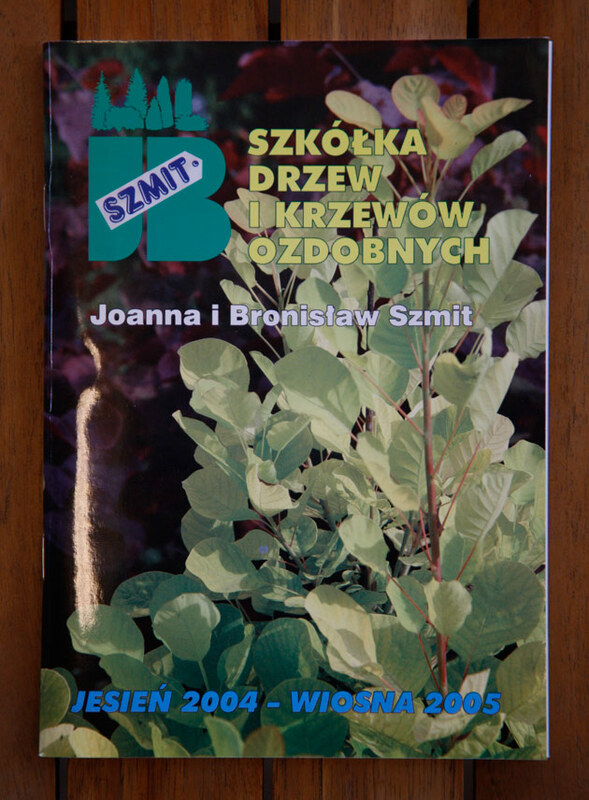 On the cover we placed a photograph of buds of Thalictrum aquilegiifolium 'Purpureum'. 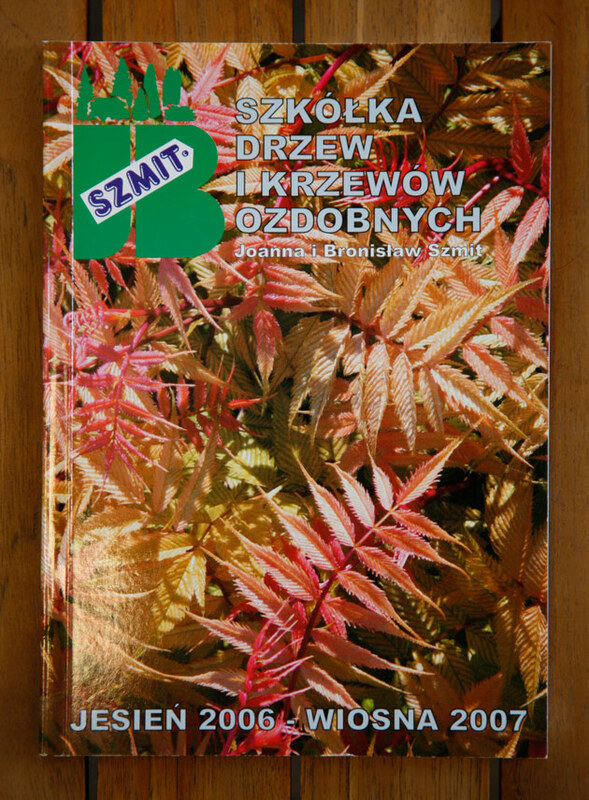 The cover presents a leaf of Sorbus AUTUMN SPIRE 'Flanrock'PBR that changed color into red. 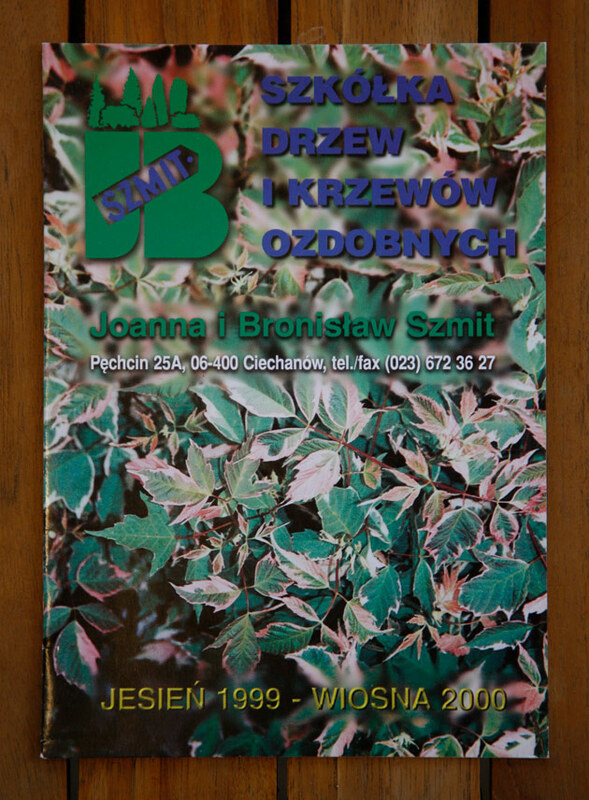 This year, because of the anniversary of our Nursery's establishment, we placed an inscription “30 years of the Szmit Nursery” made of plants. The cover picture presents a young inflorescence of Hydrangea paniculata VANILLE FRAISE 'Renhy'PBR that has not turned pink yet. 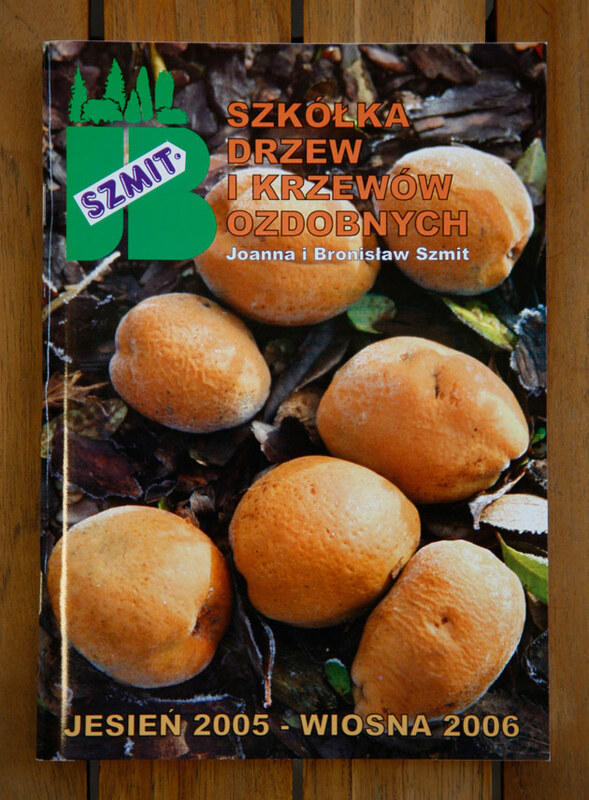 The cover presents leaves and buds of rare and interesting plant – Franklinia alatamaha. The cover presents inflorescence of Sambucus nigra BLACK LACE 'Eva'PBR.